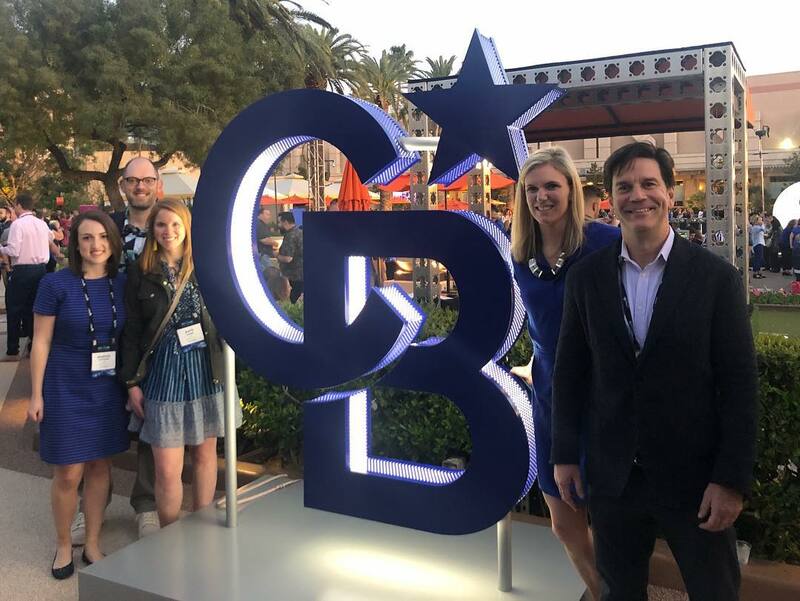 Each year, Coldwell Banker holds an international conference called Gen Blue, where agents and brokers from around the world come together to celebrate the brand’s success, learn new skills, and look to the future. 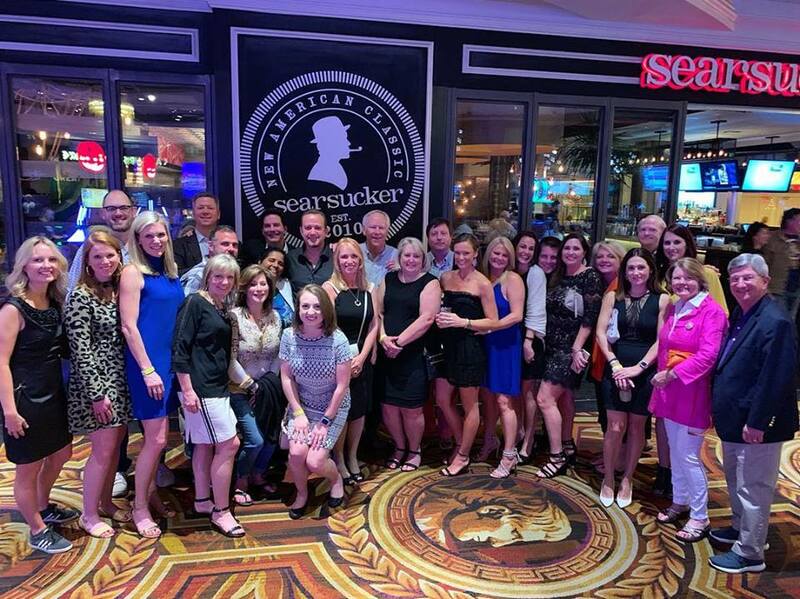 This year, 23 members of the Caine family traveled to Las Vegas for the occasion – including me (Marisa Stephens, Digital Strategist)! One of the many benefits of being a part of the Coldwell Banker brand is being able to utilize the global Coldwell Banker network of over 92,000 agents worldwide spanning 47 countries. 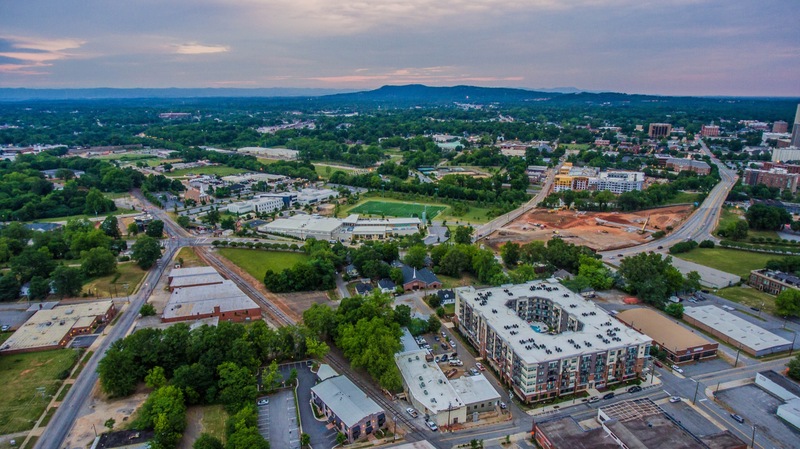 Gen Blue is the perfect place for agents to connect with their peers and establish a referral network. It’s also a great place for brokers and marketing professionals to talk shop. My first day started with a “Meeting of the Marketing Minds,” sharing ideas on best practices for marketing materials, online reputation management, Facebook strategies, agent retention, and more. It’s so valuable to hear how other marketing teams – big and small – are innovating and adapt those ideas for our market. In the afternoon, the conference officially kicked off with an opening session. 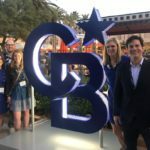 We heard from Charlie Young, President and CEO of Coldwell Banker, about the power of the CB brand and the new mission statement (We empower our people to leave their mark on the world of real estate). He also reiterated Coldwell Banker’s four core values: home, ingenuity, excellence, and awesomeness. Liz Gehringer, COO, spoke about women in leadership and announced Coldwell Banker’s sponsorship of the upcoming WomanUP conference. Colin Jost, who you may know from the Weekend Update segment on Saturday Night Live, made us laugh (SO hard), and Nick Vujicic, a man born with no limbs, told his story and inspired us to overcome challenges. The biggest moment of the session was the announcement of a new logo and transparent rebrand from David Marine, Chief Marketing Officer for Coldwell Banker. Click here to read more about Project North Star. Following the afternoon session was a fabulous pool party – with the new Coldwell Banker mark everywhere! Our staff team celebrated with dinner at Momofuku (by famous chef, David Chang) with desserts from Milk (a la Chang’s partner and Masterchef judge, Christina Tosi). This was a big highlight for me! It’s common knowledge around the office that I’m a foodie, and it was awesome to check another bucket list restaurant off of my list (two if you count the Milk bar). I had the best sea bass, tuna, and pie (aptly named “crack pie”) of my life. Day two of Gen Blue was all about learning. With so many classes offered, it was difficult to choose which sessions to attend, but there was one our team couldn’t miss. Our own Kate Dabbs, Senior Director of Marketing and Strategic Initiatives, spoke on the “Video Killed the Analog Star” panel about our video strategy among some of Coldwell Banker’s top agents. I also attended a session that introduced a new Facebook advertising tool for agents, a panel discussion with tech experts, a technology tools update, and a marketing lesson on selling with storytelling. A walk through “The Source Marketplace and Trade Show” was also necessary, where we could connect with companies and vendors that have relationships with Coldwell Banker…oh and we got to pet a few adoptable puppies in the Homes for Dogs area! After a long day of classes, the entire Caine crew headed to happy hour and munched on hors d’oeuvres before seeing The Beatles Love Cirque de Soleil show for Caine night. On the third and final day of the conference, there were even more celebrity guests. Jonathan and Drew Scott (known on HGTV as the Property Brothers) came onstage to share some behind the scenes tidbits from filming their shows and to talk all things real estate. Mindy Kaling, writer and actress (best known from The Office, Oceans 8, and The Mindy Project), did a Q&A session, where she shared thoughtful insights on the progression of her career, working with others, and a few fun stories from her past real estate ventures. 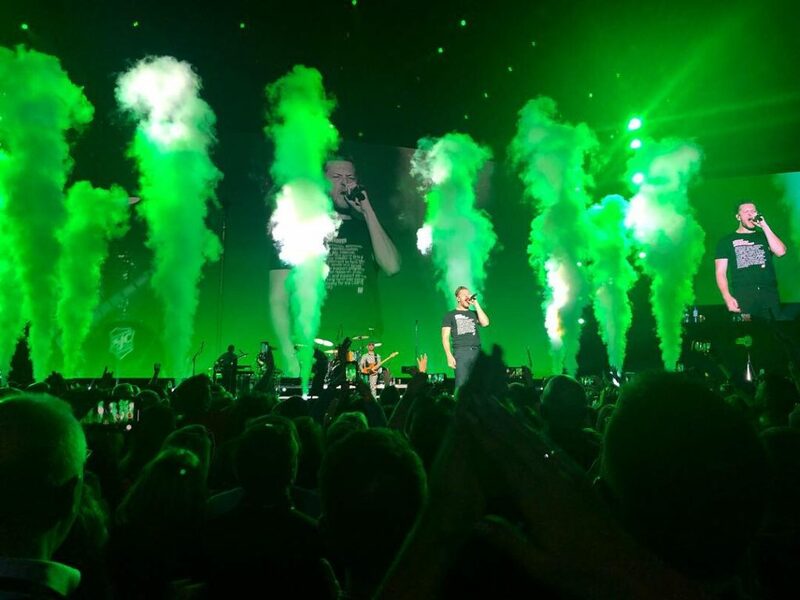 The grand finale of the conference was an Imagine Dragons concert. Not sure you know who Imagine Dragons are? Open your Spotify app and do a quick search. I can guarantee that you’ve heard a few of their hits! My first Gen Blue was definitely a trip to remember. I made amazing memories with coworkers and friends, learned valuable tools and tricks, got to witness some great entertainment, and ate pretty awesome food along the way. Bring several pairs of shoes that are both comfortable and supportive. My Fitbit step count was off the charts (#ThriveCaine)! Switching between some different shoe options can help your tired feet. Snacks and a good water bottle are a must. With such a packed schedule and lots of competition to get into the nearest restaurants, I wasn’t always sure what or where my next meal would be. Stay hydrated and energized by packing some options in your bag. Plan your itinerary before you take off to minimize stress. Thankfully, CB provided us with an app where we could create personal agendas and sign up for learning sessions. I was referencing it constantly to see where my next session was and who was speaking. If your conference doesn’t have an app, no worries. You can still make a plan for yourself. Keep both a digital and printed copy on hand. Portable phone chargers and power banks are a lifesaver! When traveling, you never know if you’ll be able to get good Wifi or where the next outlet will be to give your phone more juice. You’ll be looking up your agenda, maps, Uber, food options, and more. Add social media coverage into the mix, and my phone battery was on the struggle bus. Those handy dandy stick chargers were key to my success. 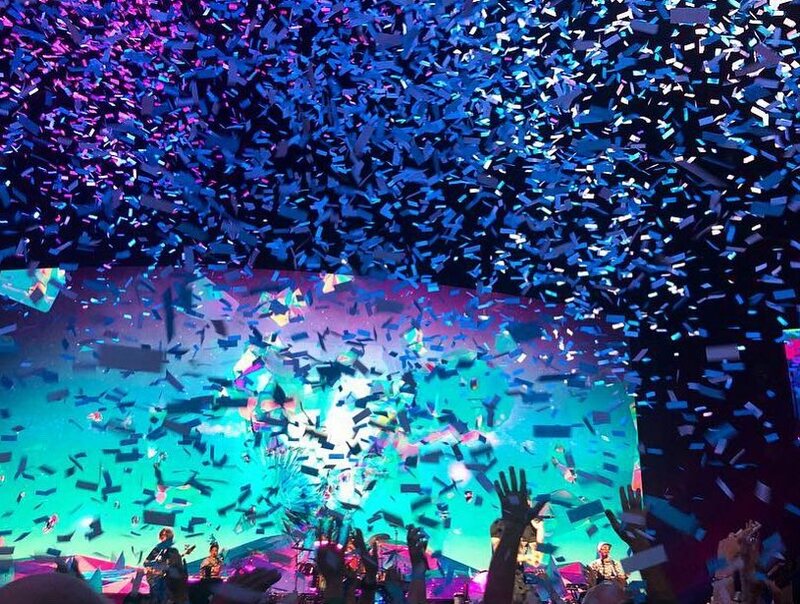 Have fun + bring some element of home with you. These jam-packed trips can be exhausting, on your body and your mind. Make sure you’re fitting in a few things that you like to do as well as some time to relax. I love researching menus so offering to help with the restaurant selection was fun for me and helped take that “chore” off of my team members’ plates (pun intended). My brain was buzzing with new ideas and sensory overload so I also made sure to fit in some reading time and even a little morning yoga to clear my head. I can’t wait to see where next year’s Gen Blue will be held! Marisa Stephens is the Digital Strategist and resident foodie at Coldwell Banker Caine. In her free time, she enjoys traveling, drinking craft beer and spending time with her husband, Louis, and their dogs, Winston and Nigel.